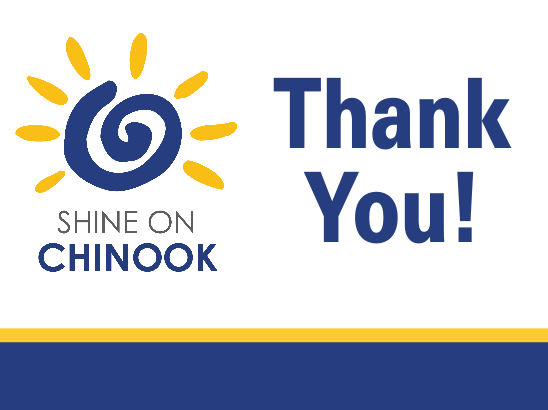 On behalf of the Chinook PTSA Board, thank you so much for your donation to the Shine on Chinook campaign! We are Chinook!!! Is your company listed in our Employer Matching page? If so, please consider filling out a matching funds form at work today!